Particle number measurement is a new approach to determine emission, which may be more accurate at very low emission levels than when using gravimetric measurements. 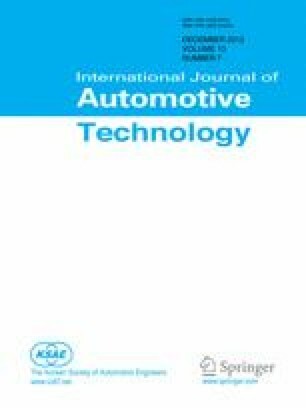 An experimental study was performed to investigate the effect of fuel properties on the performance, combustion process, regulated gaseous emissions and particle number emissions of a diesel engine with an uncatalyzed diesel particulate filter (DPF). The effect of the filter on the particle size distribution was reported. The DPF number-based filtration efficiency in terms of number efficiency and fractional efficiency for petroleum diesel fuel and two alternative fuels, BTL and GTL, were analyzed. For nearly all test modes, the filter had a higher number efficiency for diesel than for BTL and GTL. The DPF fractional efficiency showed it was highly dependent on fuel type and varied widely at each size range. For diesel, the filter fractional efficiency was sufficiently high and behaved as predicted by filtration theory. For BTL and GTL, the fractional performance of the filter decreased when unexpectedly low efficiencies within the nuclei mode were exhibited. This research will be helpful in understanding DPF number-based filtration performance for alternative fuels and will provide information for the development of particulate emission control technology.